The Environmental Protection Agency wants to repeal the emission standards set by the Obama administration for glider vehicles and kits for medium- and heavy-duty trucks. 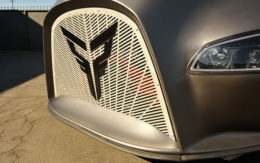 The EPA’s notice of proposed rulemaking issued Thursday said that under the Trump administration’s current interpretation of the Clean Air Act, or CAA, glider vehicles would not be considered “new motor vehicles,” its remanufactured engines would not constitute “new motor vehicle engines” and glider kits would not be defined as “incomplete” new motor vehicles. A glider kit consists of a chassis, frame, cab and front axle, which are combined with a refurbished powertrain, including a remanufactured engine, transmission and rear axle from an older truck. Once assembled, they are called glider vehicles or gliders. Truckers can purchase gliders for approximately 25 percent less than the cost of a new truck. In August 2016, federal regulators issued new GHG Phase 2 standards that will force manufacturers to reduce carbon emissions from a wide range of commercial vehicles, buses and cargo vans in three phases by 2027. The EPA announced in August its plans to revisit provisions in the Phase 2 rule regarding gliders after three of the top assemblers of gliders submitted a petition for reconsideration to the agency in July. The rule assumed that all glider engines would be older engines from before 2002. However, the model year of the engines used varies depending on the donor vehicle, which includes newer engines, according to the petition. “It also raises concerns that the EPA relied upon ‘unsupported assumptions rather than data’ with regard to the emission impacts of glider vehicles,” Pruitt said. Some trucking associations praised EPA’s review of the glider rule. “We agree with the proposal and U.S. EPA not engaging in ‘regulatory creep’ where bureaucrats expanded agency control without the requisite legal authority,” Joe Rajkovacz, director of governmental affairs for the Western States Trucking Association, told Trucks.com. 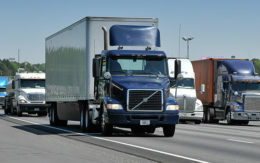 “We appreciate and encourage EPA’s review of this rule as small-businesses truckers often prefer to purchase used equipment or glider kits because of their reliability and lower cost,” Norita Taylor, spokeswoman for the Owner-Operator Independent Drivers Association, told Trucks.com. The American Trucking Associations, which represents large fleets, said it was disappointed in EPA’s decision to modify the glider kit provisions under the Phase 2 rule. 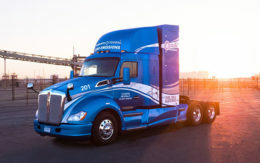 “ATA members have a long record of supporting clean engine technologies, improving efficiencies and becoming more sustainable,” Glen Kedzie, environmental counsel for ATA, told Trucks.com. The trucking trade group said it worked closely with EPA on the Phase 2 rule, demonstrating “that regulations based on sound data, science and compromise are superior to those developed in a vacuum,” Kedzie said. “The agency’s position supporting the continued growth of the glider kit industry that produces the highest-emitting equipment on our nation’s highways is perplexing,” he said. Environmental groups also oppose the agency’s proposed rule. The Union of Concerned Scientists cited previous research by the EPA that particulate matter pollution from one year’s production of glider trucks “could cause 1,600 premature deaths” because they emit “20 to 40 times more pollution” than new trucks. “If the EPA is going to do its job and protect public health, glider vehicles need to be held to a strong standard just like vehicles with newer engines,” said Dave Cooke, senior analyst for clean vehicles at UCS. The Natural Resources Defense Council, or NRDC, said the EPA is proposing the reopening of a “dangerous loophole that would keep dirty trucks on the road. 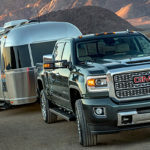 “Instead of letting these dirty trucks keep spewing up to 40 times more pollution than modern big rigs, the EPA should protect the air we breathe from this dangerous threat,” said Luke Tonachel, director of clean vehicles and fuels project at NRDC. The Sierra Club criticized President Trump and Pruitt for reviewing and possibly repealing the rule. “Rather than protecting our air and climate, Donald Trump and Scott Pruitt are wasting taxpayer dollars trying to roll back standards limiting pollution from glider kit trucks, endangering the health and safety of American families and our climate,” said Andrew Linhardt, deputy legislative director of transportation at the Sierra Club. The agency will host a public hearing on the proposed rule Dec. 4, as well as opening a public comment period due by Jan. 5, 2018.